Hannah's Gluten Free : Gluten Free Christmas Gift Ideas! Finding something foodie but thoughtful for those with allergies isn't always the easiest, so when I was making some raffle prizes for my local drama group, it got me thinking... Everything I made was naturally gluten free anyway! So I thought I would share! Super simple and effective! For this all you need is your preferred hot chocolate and some marshmallows. In terms of decoration, I used cone shaped cellophane bags, red pompoms, wiggly eyes and pipe cleaners! 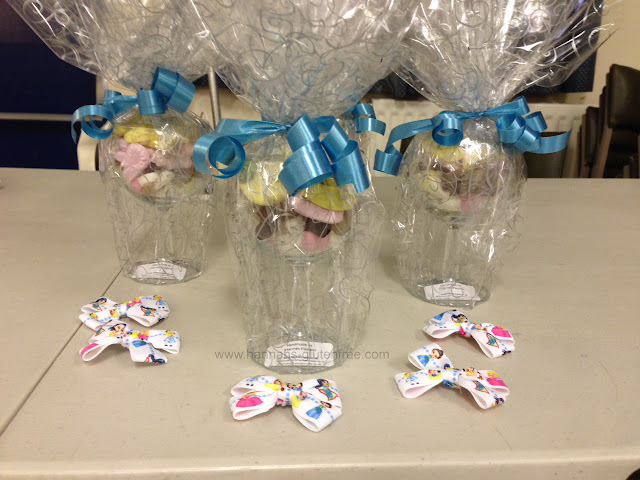 All you do is pop a serving of hot chocolate in the cone, top with marshmallows and tie up! Then you add the pompom nose and eyes, done! 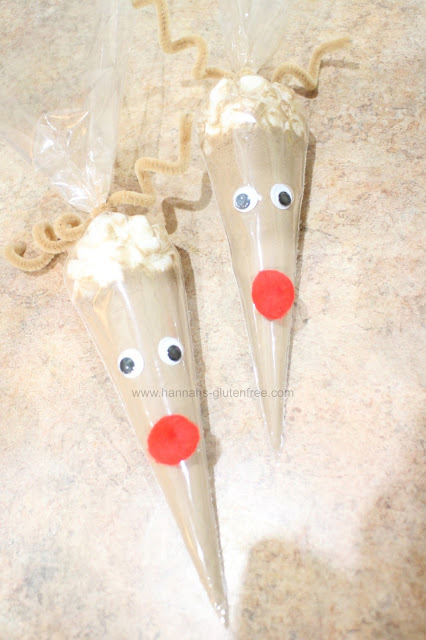 So easy and makes this so much more interesting than a tub of hot chocolate, perfect for childrens stocking stuffers! Pick out the recipients favourite gluten free sweeties and in layers add these to a wine glass, here I just used the basic 4 for £1 wine glasses, but you can use the large ones! once this has been done get some food safe cellophane and some floristry ribbon and tie them up! 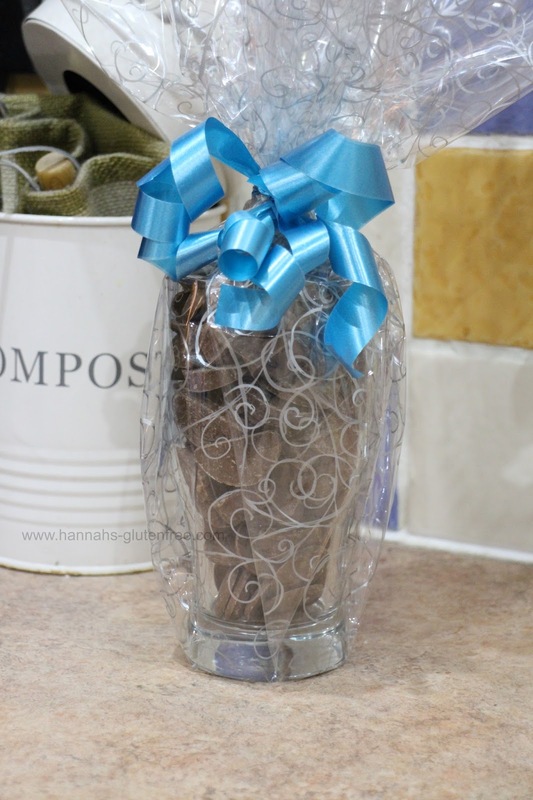 This gift can cost as little as £1 each but looks so thoughtful! Something for the men! Chocolate pint glasses, just the same as the sweetie wine glasses, just with bitesize chocolate! Of course you can fill these with sweets too, or the wine glasses with chocolate, but this was just my preferred way! This one is mainly filled with Cadburys but any gluten free and dairy free chocolate can be used! All of these can be tailored to more allergies, it just depends on what you pop in them!